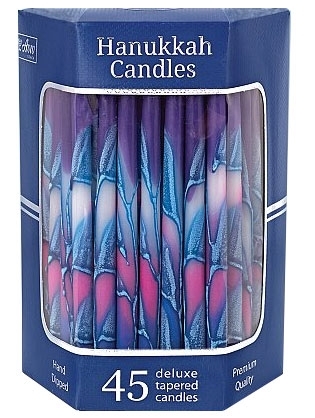 Hand dipped, tapered candles have a white snowflake pattern over variegated hues of blue. 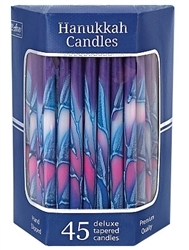 5-1/2" tall candles come 45 in a box, enough for all 8 days of Hanukkah. Burns for approximately 60 minutes.